Grey seal pups are an amazing wildlife spectacle around the UK coastline at this time of year…as little baggy bundles and then big barrels of white fluffy fur with huge appealing eyes. But they need our help. They are only fed milk by their mothers for three critical weeks that determine their survival prospects. Born at around 10kg they need to put on another 10kg per week to reach their minimum optimal weaning weight of 40kg. Anything under this and the pups prospects of surviving longer than six months are considerably reduced with the most likely outcome being slow starvation and death. At first pups feed more frequently in short bursts – once every four hours approximately – so up to six times a day for the first week. After this with growing stomachs, pups may feed for longer, but less frequently – say once every 6 hours for the next two weeks. This means a maximum of around 100 feeds per pup and realistically less than this. Each feed lost to the pup (for example as a result of a dog deterring the mother from leaving the sea to feed her pup; the passage of a boat or clifftop walkers at the critical moment the mother has chosen to feed) loses the pup a potential 1% of its body fat reserves. Repeated disturbance at honeypot sites with visitors present all day can mean mothers resort to night time feeding only and a potential 50% loss of pup body weight with virtually no chance of the pup surviving the period during which it needs to teach itself to feed. So our grey seal pups need all the help and consideration we can give them! If you have not seen a mum off or onshore and you are concerned for the pup’s welfare please ring the BDMLR hotline 01825 765546. Please put this number in your phone. BDMLR will send a trained Marine Mammal Medic to assess the pup’s situation and condition before deciding the best course of action. 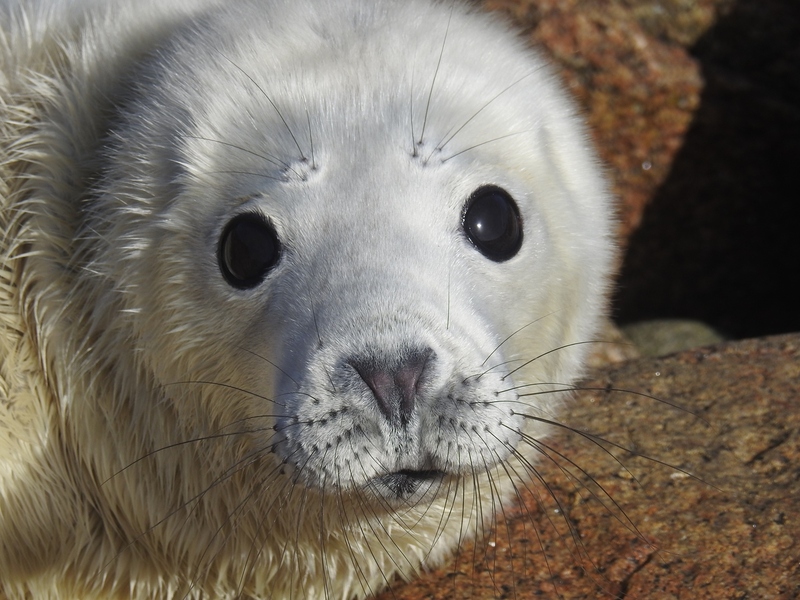 Please give our precious seal pups the space they need to survive to their first birthday!